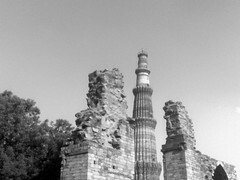 Hey love your writing style…the Qutab Minar has been covered a lot..but seemed like a refreshing take on it..
it’s the history behind it that makes it an interesting place …. the craft the architecture the building technique n so on …. those ruin speaks for themselves …. people who like art love the place …. n off course so do i ! !